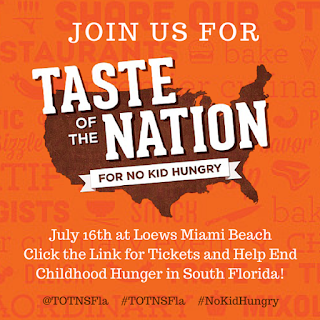 Fatgirl Hedonist: Taste Of The Nation VIP Ticket Giveaway! Taste Of The Nation VIP Ticket Giveaway! Share Our Strength’s Taste of the Nation® South Florida, is gearing up for its 27th epic pachanga. 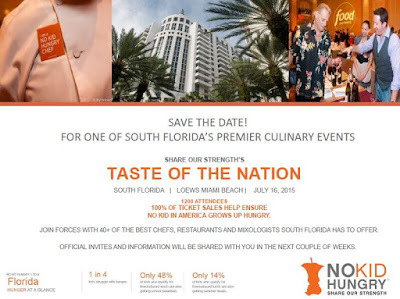 This year, this huge fundraiser aimed at ending childhood hunger will highlight almost 50 of the hottest restaurants from both Dade and Broward counties. It won't just be local restaurants in the limelight, but top chefs, sommeliers, mixologists and brewers will all be giving it their best. The South Beach Chic – Food, Wine & Art-themed benefit will also feature silent and live auctions, an interactive art display and a beer garden. If for some reason you don't get enough to eat at Taste Of The Nation, the “Chefs on a Half Shell” after party will feature oyster creations from host restaurant Lure Fishbar as well as The Dutch at W South Beach, Devon Seafood + Steak and Aaron’s Catering. 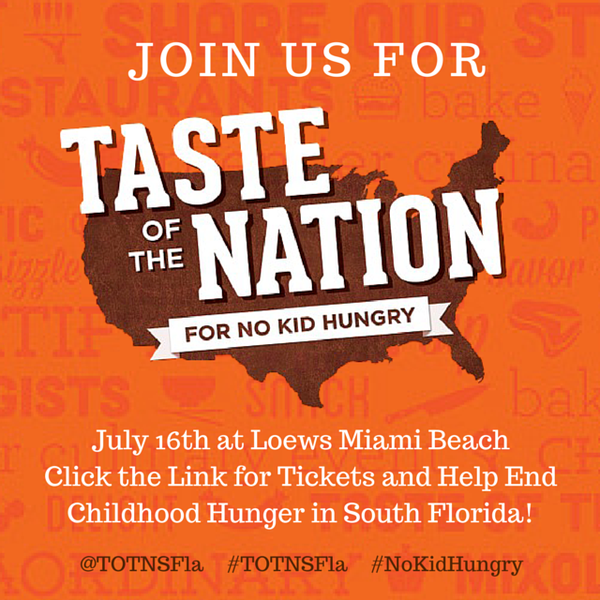 The annual tasting event will take place on Thursday, July 16, 2015 from 7PM to 10PM, at Loews Miami Beach, followed by the after party from 10PM to Midnight. Yardbird Southern Table and Bar. So the painful part for this epic event is as follows: General admission tickets are priced at $125 per person and VIP tickets are priced at $250 per person. People with VIP tickets will gain access to the event an hour before the doors open, as well as admission to the after party. Tickets can be purchased here. As usual, I'm hosting a giveaway of 2 VIP tickets that will be awarded to 1 lucky winner on July 9, 2015. I hope I win! :) Love all your posts! Great Article! ;) Hope to get a Taste of the Nation! Italian cuisine is my fave. Mexican, Mediterranean, and Peruvian cuisines are my favorite. Thanks for the opportunity and good luck to all entering! Taste of the Nation is one of my favorites! Than you! I'm obsessed with all cuisine, though Venezuelan is by far my favorite! I am such a foodie at heart, I love to try everything! For the sake of picking one I will go with sushi, there are so many delicious varieties of them.